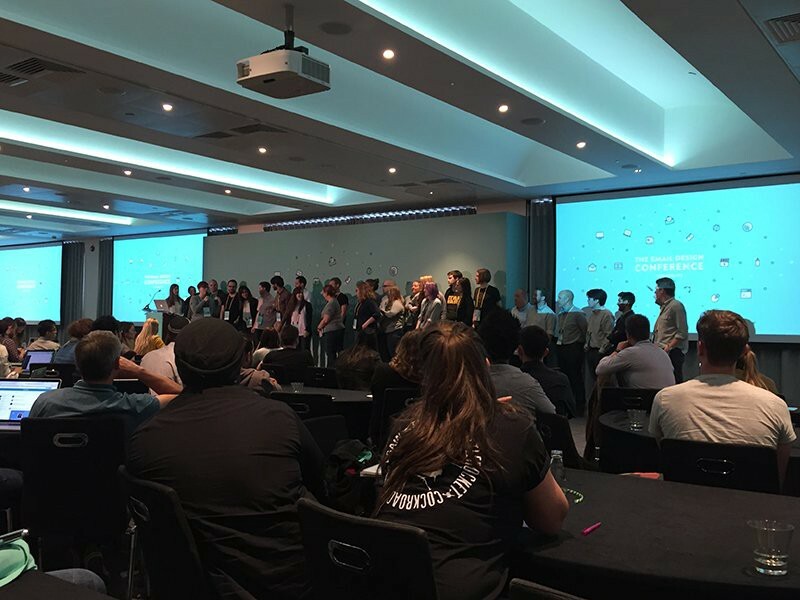 At the end of July, we headed to The Email Design Conference (TEDC16) for some geeky, email marketing and developer fun. The two days were jam-packed with talks, learning forums and plenty of discussions with fellow email geeks about email design, email best practices, top tips and some very exciting new features. It was the first of this kind of conference for me, so I was excited to meet people in the industry and see how it was all gonna pan out. 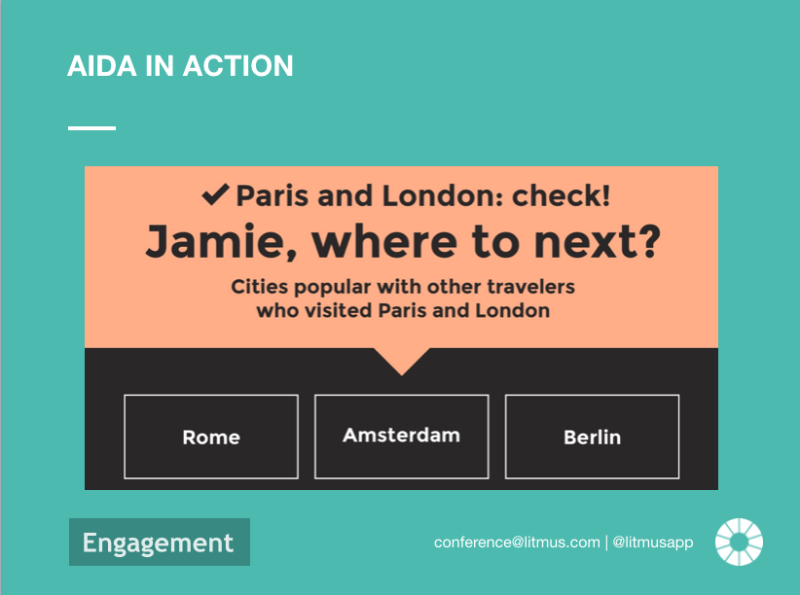 Check out#LitmusLive to see how it unfolded in real-time. 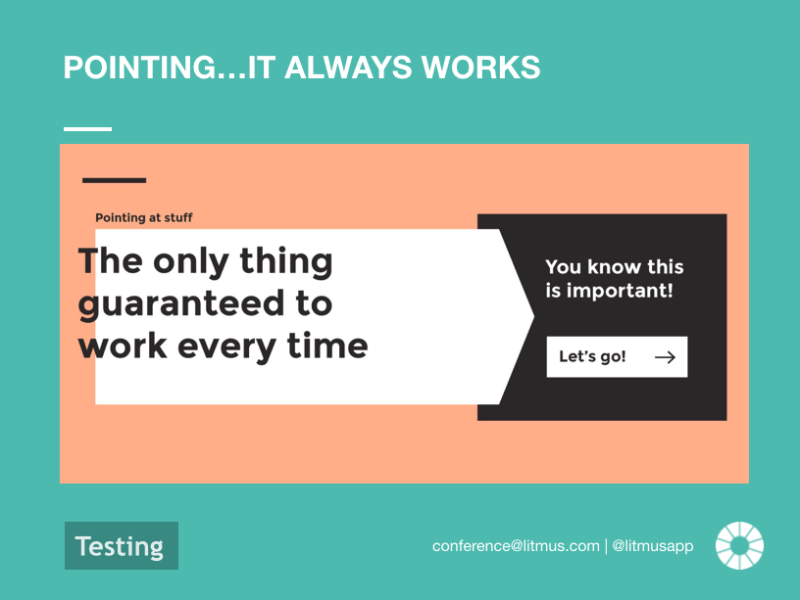 So for a quick overview before I get started, The Email Design Conference is run by Litmus — specialists in email testing and email analytics. The conference is a fantastic opportunity for email design specialists, email marketing specialists, developers and other email geeks to get together, share ideas, learn from each other and look at what leaders in the field are doing at the moment. What’s your vision? What do you want to achieve from this email strategy and where do you want to be once the campaign is complete? What’s your strategy? Conduct and audit of your current email strategy and activity and see where the gaps are. What’s needed? Collaborate with others. Even if it’s your responsibility, you’ll be surprised at how helpful other members of your team can be when it comes to feedback or ideas. Be aligned. Remember your initial vision and make sure that fits in with your overall strategy and organisation goals. Be patient. It’s easy to think that you can set up your email strategy, hit go and start seeing results, it does take a bit of time, but believe us, the rewards will be worth the wait. Think about the inbox: remember to test out different inboxes, how does your email appear across different email providers? Pre-header text: This can be thought of as more advertising space, tell your customers what the email includes while they’re deciding whether to open your email or not. Accessibility: Everyone needs to be able to open, see and engage with your emails so remember to always consider the design and flow of your email as being easy to follow — check fonts and font sizes and always find out if it looks good on mobile. Background images: If you’re using these, remember to make sure the text is readable over the top of the image on desktop and on mobile, use the images to tell a story and make sure they are well supported so all your readers can enjoy them. To help email load time, Jonno recommended using a tool like ‘ImageOptim‘ to help compress your images. People tips: Forge an emotional connection, it’s known that smiles convert, so think about the reader and what interests them when you’re drafting your email content and design. Calls to action: Place a call to action on every page fold and don’t go overboard with design as this can draw away from where you want your customer’s eyes. Top tip! Stay clear of ‘click here’ as a call to action, use wording that informs the customer about what they will experience when they click. The journey: Consistency is key, so don’t let the landing page differ from the email too much. Use enough text to keep the reader interested, but not too much that they don’t click through. Keep the same font and branding throughout and across communications and ensure your colours stay consistent. Forms and fields: if you’re using forms to capture information from your guests and customers, make sure the forms are always fully expanded, contain 3–5 fields max and the calls to action are strong and clear. This makes sure you’re customers stay engaged and don’t drop off the page. Rosa Hafezi, a Lawyer from Certified Senders Alliance gave a fantastic overview of international opt-in and legal requirements. She spoke about a great deal of legislation and some great examples which was too much to cover in this recap post but I’ll definitely post another more in-depth overview in the future. If sending to international recipients, it is always worth following the guidance from the strictest jurisdiction to ensure compliance. The EU have some of the highest standards to follow — specifically Germany — so if in doubt, do as the Germans do! Learn from your tests — it’s ok if there is no change, that’s a good thing to learn about your audience if you were expecting there to be one and remember to follow-through with your learnings. Put them into practice! Overall, TEDC16 was a huge success, we met and developed great relationships with fellow email design geeks and really walked away from the conference fired up about what exciting opportunities there are coming our way in email design and how much can be achieved. So remember, keep these handy top tips to hand when you’re thinking about your next email campaign, email design or even email test! The opportunities are endless. Senior Marketing & Communications Manager @Cendyn with a love for anything that involves running, travel or mountains.